The Friday drop-off program is running at a temporary location for Term 1 and Term2 (Valla Hall). The donated Alithia site (where the August event was held) is on private property and requires over $40k to turn it into a “community facility” (a site that can be accessed regularly by the families). This cost is due to requirements around toilet facilities etc. This site would also require funds for quite a bit of upkeep. The fact that it’s on private property has been an obstacle when accessing funding. 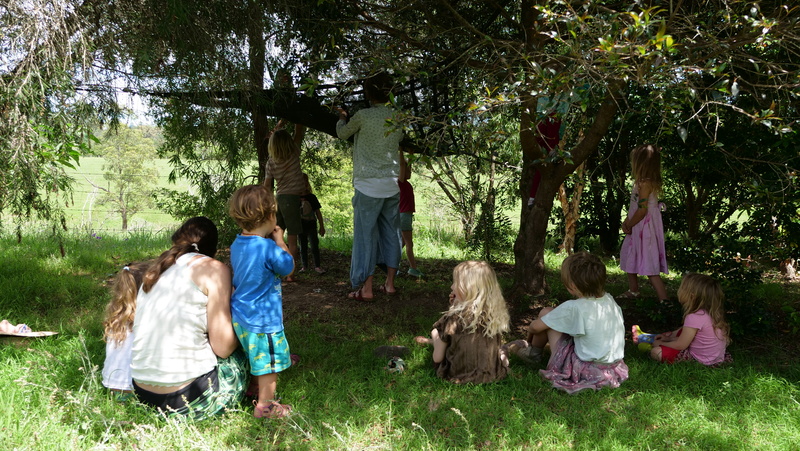 In order to have a permanent space quickly, council suggested that we establish the Alithia Learning Space at Anderson Park Reserve in Valla Beach (owned and maintained by council but not utilised). The toilet block is already installed, there is a forested section (with natural shade), open oval, sports facilities and a playground for lunch break. This location opens the door to funding grants for an indoor space and a pergola for shade. We would put our resource shed here (painted shipping container full of supplies) and aim to fence off a section from the public to keep our large-scale building projects safe over the weekend. This would enable us to use our donated forest site one day per week as a “farm visit excursion” (8 min drive, possibly hire a mini bus for this weekly excursion). Anderson Park is a short, safe walk from the Valla Beach bus terminal and to the community gardens. This site enables Alithia to run as planned, four days per week, in a purpose-built space ASAP. The Valla Beach Community Association has agreed to support this, as long as we can show that the community are onboard at the March meeting (please attend this meeting if you can). The VBCA will then provide the plans to the Nambucca Council for their final approval. A short-term aim will be to install a semi-portable building (such as yurt) at this location to reduce establishment time. Private funders have indicated that Alithia is more likely to receive support once operating full-time, so this step also opens up the possibility of future funding for the establishment of the donated rural site.